Swedish studio Claesson Koivisto Rune teamed up with Chilean collective The Andes House to create a series of biodegradable lamps made from mimbre (wicker). ‘Medusa’, ‘Chinita’ and ‘Bellota’ are inspired by sea creatures, ladybugs, and acorns, and they were handcrafted using traditional techniques by local artisans in Chile. In addition to serving as brilliant functional objects, the lamps provide employment to local people while keeping traditional craft techniques alive. 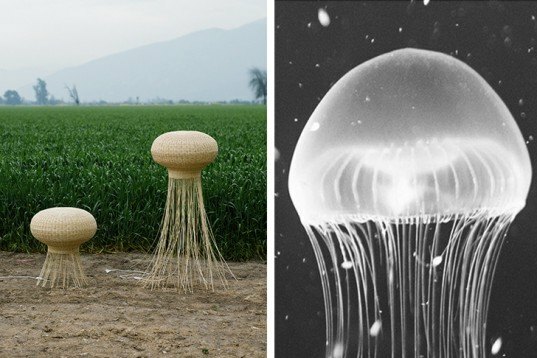 ‘Medusa’, ‘Chinita’ and ‘Bellota’ are cute, creature-like lamps that give off a warm atmospheric light. 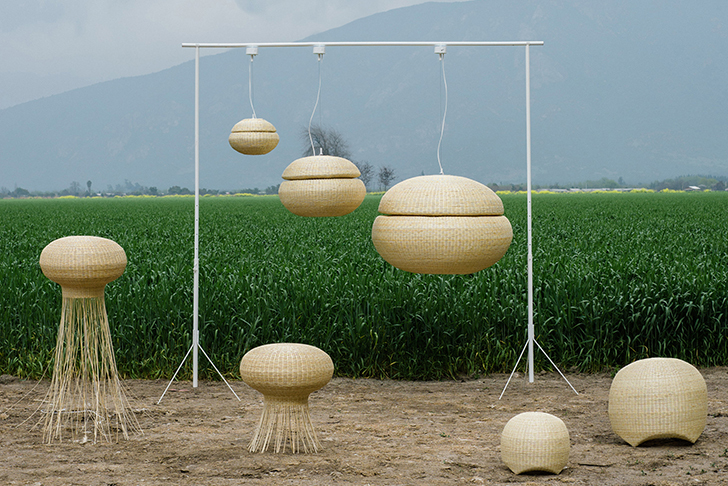 They can be hung from above or stood up on wicker legs which extend their wavy round shape. These brilliant designs are currently on display in the British capital as part of Design Junction during this year’s bustling London Design festival. Swedish studio Claesson Koivisto Rune teamed up with Chilean collective The Andes House to create a series of biodegradable lamps made from mimbre (wicker). 'Medusa', 'Chinita' and 'Bellota' are inspired by sea creatures, ladybugs, and acorns, and they were handcrafted using traditional techniques by local artisans in Chile. In addition to serving as brilliant functional objects, the lamps provide employment to local people while keeping traditional craft techniques alive.